Locked deploys give you the ability of pinning a site to the latest published deploy for the time being. New deploys won’t be published to the main site, although Netlify will still build them and they will be ready for whenever you want to publish them. 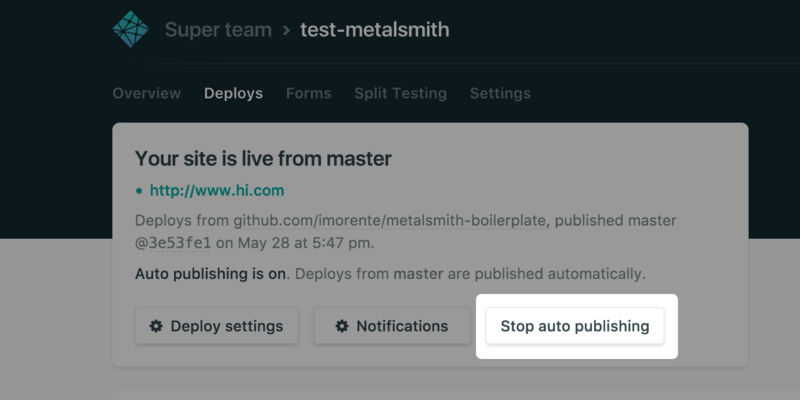 You can lock a deploy by disabling auto publishing. To disable auto publishing, navigate to your site’s deploy list and click “Stop auto publishing”. After a deploy has been locked, you can unlock if from the same deploys listing by clicking “Start auto publishing”. 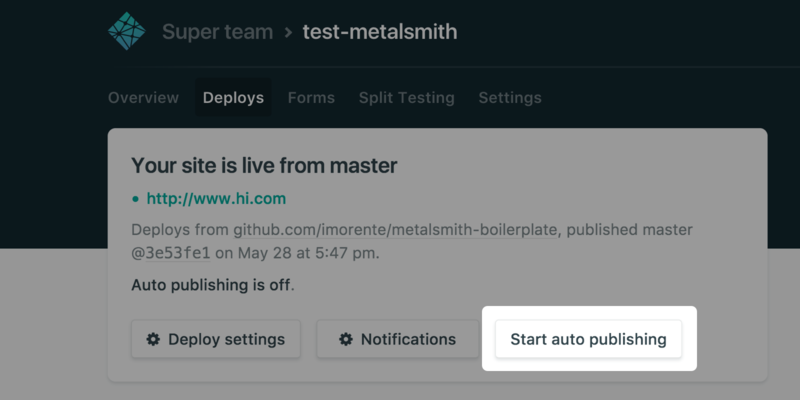 You can get notifications about locked deploys via Email, an external webhook or Slack. Netlify will notify you when a deploy is either locked or unlocked. You can configure these notifications from the notifications section in your site’s dashboard. Read more about notifications the outgoing webhooks and notifications guide.